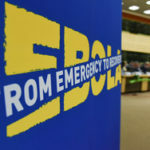 The ongoing Ebola epidemic in Sierra Leone has delayed commencement of construction of the country’s second international airport. The international airport planned for Mamamah (a village just outside the capital Freetown) will be the first airport to be constructed in Sierra Leone since the British constructed the current airport at Lungi. Lungi airport was initially constructed for use as a Royal Air Force base and later converted as the country’s domestic and international airport. 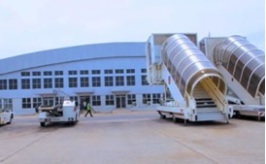 The construction period for Mamamah airport was initially programmed for 2014 to 2017. So far the only construction completed is the erection of a temporary metrological station that collects up-to-date metrological data. The data collected includes wind speed, wind pressure, rainfall and visibility, all of which will influence the final design and construction of the runway. construction of private structures along the major area earmarked to host the new international airport. have to be relocated. 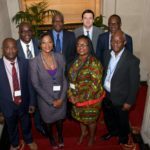 The Sierra Leone Government plans to construct one thousand new homes and set up new communities with essential infrastructures such as schools, roads, water supply and electric power supply. Mamamah itself will benefit from a new hotel facility to be constructed in the surrounding area. It is expected that the new Mamamah airport will give the country the opportunity to expand as the capital Freetown is already choked. This project has been delayed for 40 years and any further delays will seriously hinder the country’s opportunity for international competitiveness.